Concrete today is no longer that drab gray coloring. There are companies out there who do nothing more than make colors for concrete. If you can imagine it, there are thousands upon thousands of different colored pigments, from chromium oxide greens, to cobalt blues, carbon blacks, black or brown iron oxides, as well as a plethora of different orange, yellow and synthetic reds. With the push today for “green” buildings, many of the colors actually come from some kind of recycled material, especially many of the iron oxide pigments. Thus there are many reasons to utilize colored concrete. For countless enthusiasts of decorative concrete what seems to excite them the most is the fact that each and every installation is completely unique. Today, concrete can now take on any texture, pattern, design or even shape. We can go one step further, and subtly blend in with Mother Nature or at times make a dramatic bold design statement with colored concrete. At the moment, unless the actual design calls for that plain gray color, any color can be attained by the use of colored concrete. To be honest some companies offer a truly bewildering palette of various shades for any designer to choose from, and it boggles the mind to see it all. It may be true that colored concrete is going to cost a bit more than the plain gray color, but the difference is totally amazing and most say that it is well worth the investment. The patios found outside today seem to simply harmonize with their adjacent landscapes, bringing a decorative effect that is almost a work of art in our present day. If you are considering looking for colored concrete, be sure and pay a visit to Silikal. There you can see the effects of colored concrete, both inside and outside various buildings. You may even see what your logo might look like if imprinted deeply in the concrete floor of your office building. Interestingly enough concrete can be utilized to “look like” any kind of surface, whether it is marble, wood, natural rock, or hundreds of other things, all because of the use of colored concrete. Some of the most beautiful driveways you’ve ever seen appear to be inlaid rocks but they are nothing more than colored concrete. Colored concrete has been brought forth at such an amazing rate that today one’s entire house may be made of colored concrete yet be totally aesthetically pleasing. Silikal floors throughout can call forth some truly amazing beauty that will last beyond the life of the building those floors are in. First you may wonder what LEED is. Well, the USGBC, which is the United States Green Building Council, is who developed LEED. That stands for Leadership in Energy and Environmental Design. What they have done is to create a rating system that gives out specific credits depending on how green a building is, what kinds of products were utilized, the installation techniques utilized and such. Of course, we all want to be as “green” as possible, and thus when points are given for flooring, that is important to any company. Although only buildings can become LEED certified, the earning of LEED flooring points can eventually lead to a building become LEED certified. 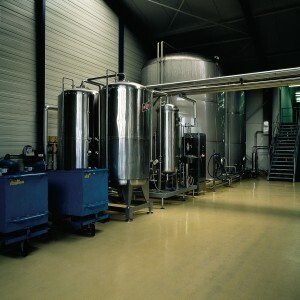 Some LEED flooring points may be given to a company which utilizes recycled contents for its flooring. 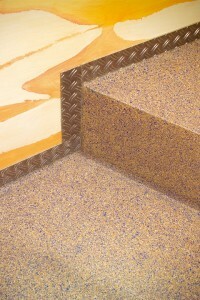 This may be carpet backing or the actual carpet itself, as an example. Another instance may be the use of natural products such as wooden floors, or perhaps bamboo floors which are a self-replenishing source of flooring. LEED flooring points are given, however if a company utilizes adhesives or other solutions that emit low VOCs which are volatile organic compounds that smell with a very bad odor when utilized. The very best LEED flooring points can come from utilizing Silikal for your flooring needs, no matter what business you are in, whether a medical business, a business that allows cars to enter into them such as car repairs, or if you have a business that works their floors very hard indeed such as a beer warehouse where the forklifts work day and night moving huge pallets of beer. Silikal can give you LEED flooring points. You see, its reactive resins are manufactured, developed and sold in conformity to some very strict environmental management systems. In addition, Silikal is not a “low VOC” flooring, it is a no VOC flooring. That in itself makes it a very superior product green wise. In addition, whereas other products for flooring may require a business to shut down for 12 hours, a day, or even a long 3 day weekend, Silikal has no such requirements. Silikal sets up and bonds completely with the flooring beneath it so that one can ride a forklift on it one hour after it is laid. Additional points are given for Silikal because it can extend the life of any building in which it is installed. This is because the Silikal flooring frequently outlasts the life of any building. That means no repairs and no reinstallation of flooring is necessary. USDA Approved Floors, Is This A Floor Requirement For You? In the United States, it is the United States Department of Agriculture whose responsibility it is to protect the public health through food safety inspections as well as defense. The USDA is responsible for protecting public health by making sure that foods and their preparation are safe, sanitary, wholesome and of course properly labeled. In addition, along with the USDA, the FDA the Food and Drug people, work in conjunction with them to make sure that both veterinary and of course human drugs are both effective and safe. Now, that encompasses a terrific amount of different businesses that would need to utilize USDA approved floors as you can imagine. Thus USDA approved floors encompass any flooring that protects the floor from mold, fungus, bacteria, and of course algae growth as well. 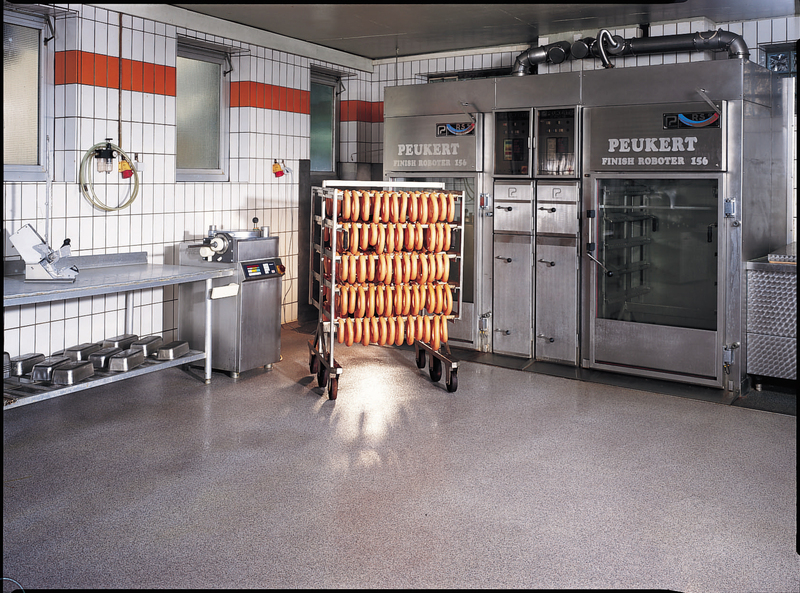 Thus, if you look at them you will find that they are perfect for wet surface floors that encompass food preparation as well as chemical processing plants. In other words, the floors are anti-microbial, steam-cleanable, suitable for heavy traffic as well as forklifts, and of course they are also non-skid. when the floors can pass all those requirements, then those industrial floor coatings can specifically be used for either food or pharmaceutical industries. Although there are many floors that are acceptable to the USDA, straightforward epoxy paints and pigmented sealers are simply not acceptable. For floors to become USDA approved floors, they must go beyond what those products can do. 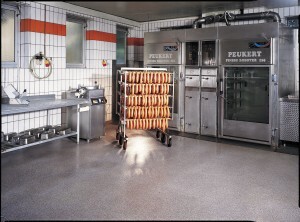 As you can imagine USDA approved flooring is thus ideal for use in food processing locations, beverage processing, any business that handles beef, pork, poultry, dairy, or produce, any commercial kitchen, all restaurants, and also this applies to all their freezers and coolers. 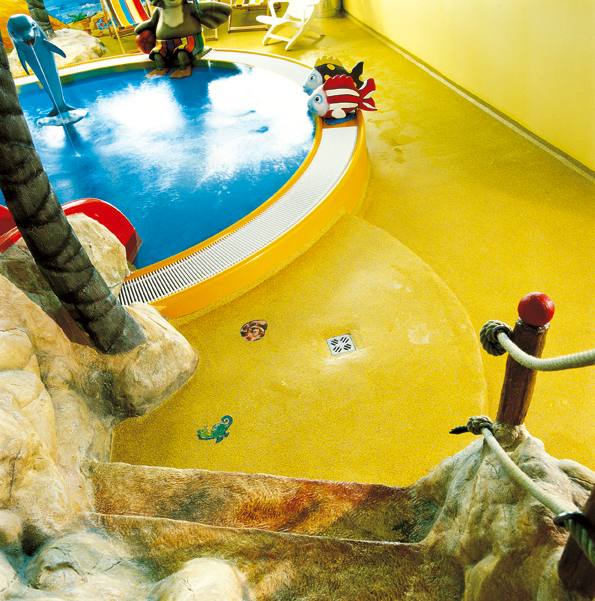 Many other aspects of flooring come into play here, for instance is the floor thermal shock resistant? How about chemical resistant? Slip resistant? Forklift rated? Odorless? And of course above all, how sanitary is it? One of the very few USDA approved floors that can answer yes to all the above questions is of course Silikal. With its totally non-porous, guaranteed pinhole free and completely seamless flooring surface, bacteria, dirt and any water borne pests cannot attach to your floor. That means that it’s exceptionally easy to clean. 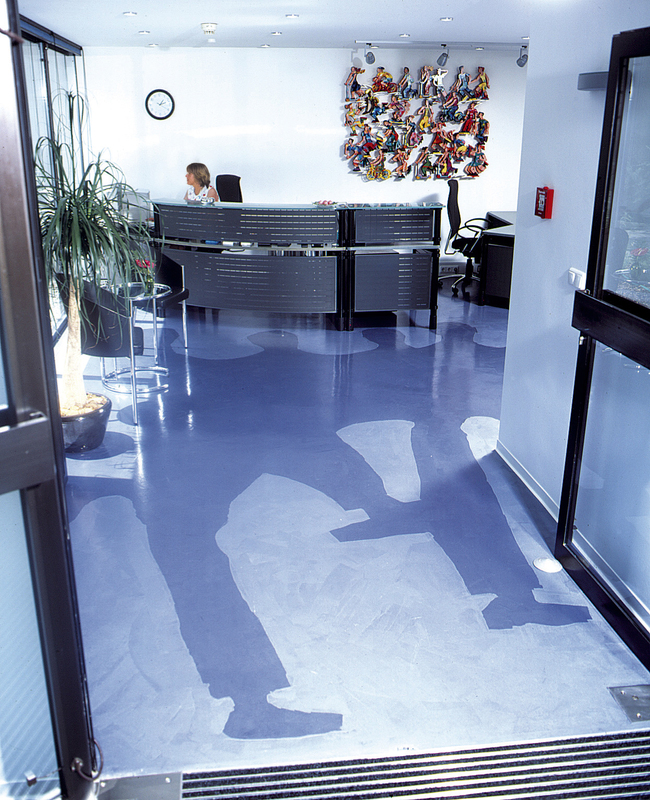 By being an anti-slip product this means that you can reduce or totally prevent slips and falls. Silikal can “take” the harshest conditions such as chemical attacks, or mechanical abrasion from forklifts and still hold up. Wet and cold conditions never mar it at all. Thus, if you are seeking the very best USDA approved floors, you truly cannot do better than Silikal. Remember that Silikal is the floor that once it is laid down in your facility, you can go to work on it within ONE HOUR!! !, so that your business needs not shut down for 48 hours as many other USDA approved floors require. Have you ever gone up stairs that were worn down? Absolutely nothing will bring on vertigo more quickly. Your mind tries to adapt to the worn stairs, and of course you begin to worry about falling down. Granted it’s even worse going down the worn stairs, because then your eye sees the worn steps and multiplies the danger by each step remaining. Mostly it is all in your mind, but it’s still a very harrowing experience. As you can see flooring for stairs is of extreme importance. It cannot be easily worn away, and most importantly it cannot be anything but slip resistant – ever! They sell carpeted stair treads today that come with double sided tape, but my mind reels at the thought of such a thing. I do not wish to chance walking on such flimsily attached stair treads. Today one can have stairs made of linoleum, hardwood, tile and just about anything one wishes for, but commercial flooring on stairs is of supreme importance of course, as the safety of those using the stairs must be taken into account. So, what is the best flooring available for stairs that takes into account supreme safety? Well, relying on double sided tape obviously does not fit that bill, nor are laminates that are merely glued on, and of course linoleum and tile are simply too dangerous to even contemplate. Wood is acceptable, but will eventually create wear spots that will be problematic. The only flooring for stairs that completely and thoroughly fits the requirements being sought for complete safety is Silikal. The reasons for using Silikal on stairs are numerous. First, it is a completely seamless installation that bonds both the wall and the stair together. 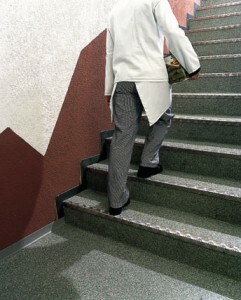 Psychologically, the blend seems to give one tremendous security when climbing and descending the stairs. Unlike wood that might require “stick on” non-slip treads that are ungainly and definitely ugly to behold, the flooring itself is made of a reactive resin non skid coating that has been especially developed to be safe on stairs. Safety is of supreme importance; Silikal knows and understands that, thus when you utilize Silikal on your flooring for stairs you will be completely protected. In addition, Silikal installations for your flooring for stairs is downright beautiful. However, Silikal fully understands that floor covering for stairs that are in high traffic areas mean that any other category of floor covering just will not do, as it will wear away, exposing the subsurface such as the concrete below it. This in turn makes it completely unsafe as well as unsightly. You need the completely safe foot friendly flooring for stairs – Silikal!